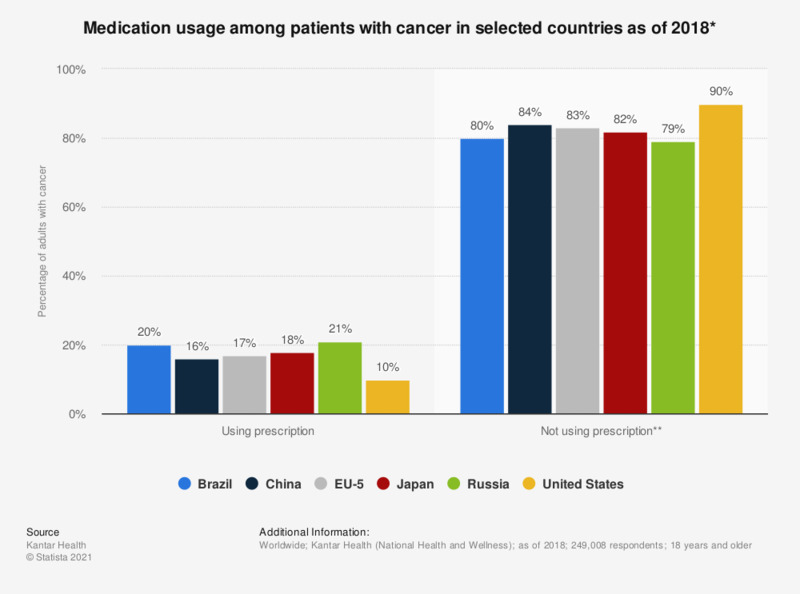 This statistic displays the medication usage among those who self-reported having cancer in selected countries as of 2018. As of that year, 16 percent of adults in China who self-reported having cancer used prescription medication. * Among those who had self-reported cancer. ** Products purchased without a prescription were not captured for cancer.